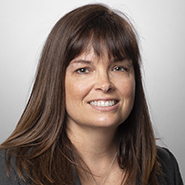 Indianapolis, IN — The national law firm of Quarles & Brady LLP today announced that Michelle Mallon has joined the firm's Business Law group in the role as Of Counsel in the Indianapolis office. Mallon focuses her practice in mergers and acquisitions, real estate, commercial contracts, corporate governance, business services, entrepreneurial services, financings, compliance, risk management and privacy. Michelle has experience working as outside general counsel and negotiating complex agreements and documents among a broad variety of practice areas. She received her law degree from Indiana University - Robert H. McKinney School of Law. "We're so happy to welcome Michelle to the office," said Office Managing Partner Lucy Dollens. "Her broad-based experience in corporate law and in the automotive, manufacturing and OEM sector is a great asset to our growing team."